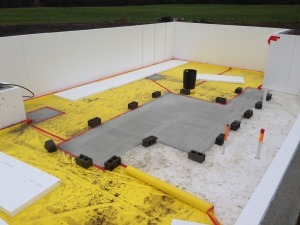 Any house that is built to a high standard is designed to be very air tight. For proper indoor air quality (IAQ), mechanical ventilation is needed (known as a heat recovery ventilator HRV) to exhaust stale air and introduce fresh outside air into the structure. In our case, we chose to use a Zehnder unit to achieve this goal. They are German made and designed to exchange the incoming air with the exhausted air to retain almost 90% of the heat (or cool). In this climate (Vermont) we also are subject to very cold temperatures in the winter. To alleviate the need for the Zehnder to “defrost” the exchanger, we can run a ground loop that introduces 40 – 50 deg F water to help regulate the incoming air. 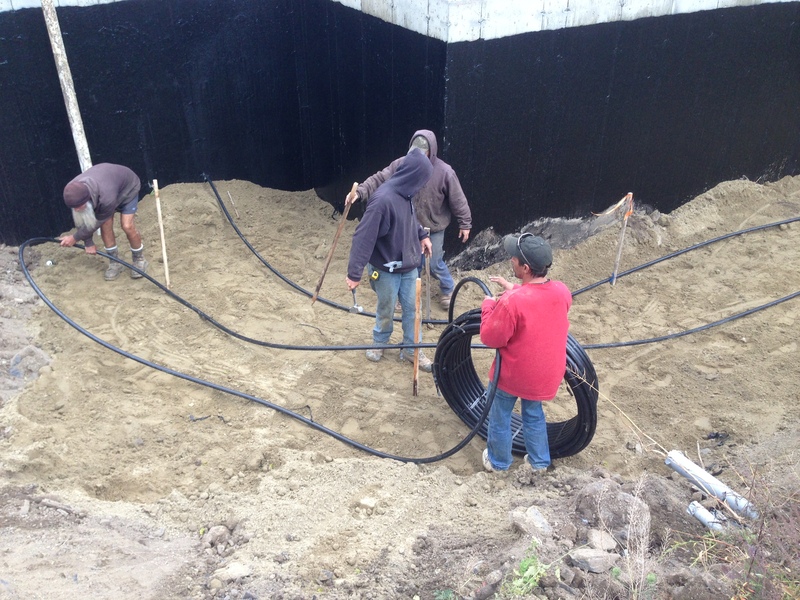 This loop can easily be installed prior to back fill around the foundation. We chose to run the pipe around the west and south sides of the structure as they see the most sun throughout the year. The excavation team laying the ground loop around the footings. 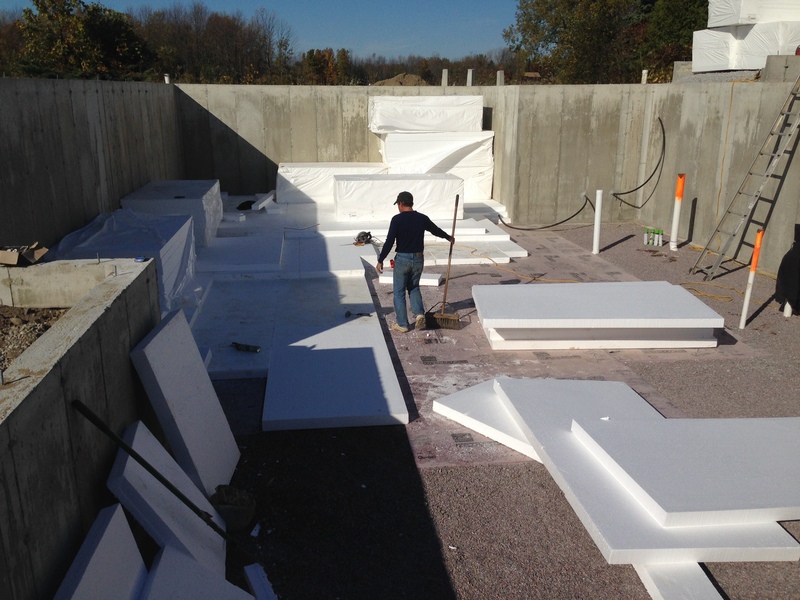 Oodles of EPS ready to be installed under the slab. 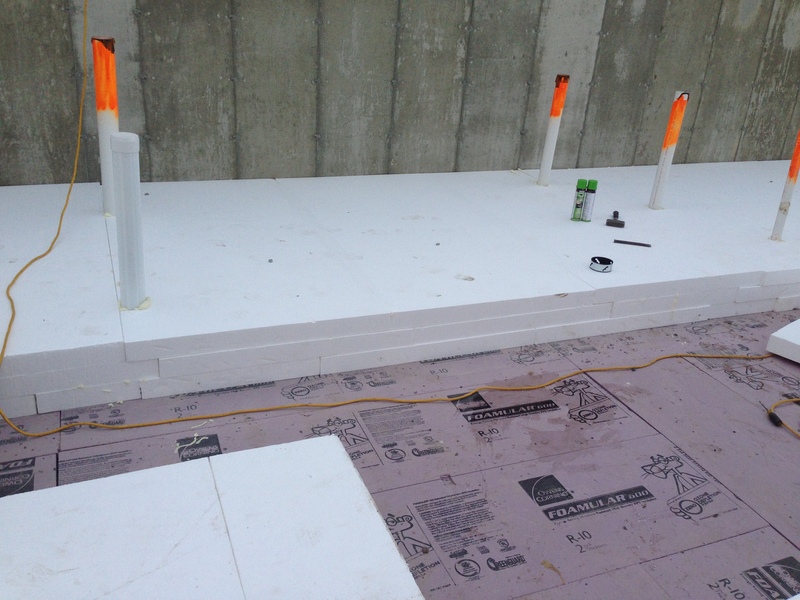 3 Layers of 4.25″ thick EPS over lapped the 10″ of XPS for the footing pads by 12″ to eliminate any thermal bridging. After installation of all the under slab EPS, we put 10.5″ of EPS at the slab edge. 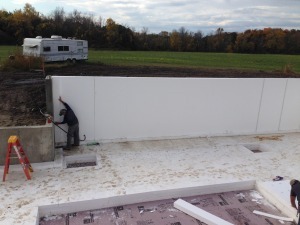 Additionally, we put 5″ of EPS on the concrete wall, which will be dense packed against for the basement walls. 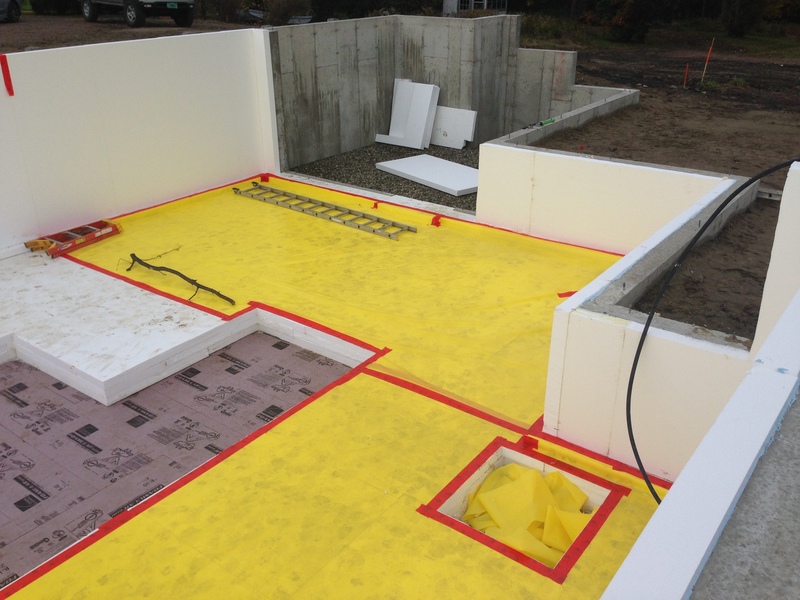 To aid in keeping the structure air tight, we need to install one continuous air barrier. This yellow 10 mil poly (known as Stego) serves that purpose for our basement. 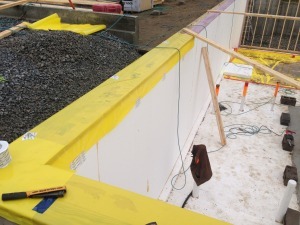 Where ever a seam exists, it will be taped creating a full air barrier around the entire thermal envelope. 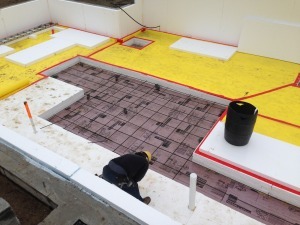 Below, preparation is made for pouring our footing pads, using the EPS as the forms. 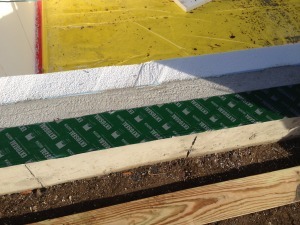 We used a stretchable Pro Clima sill tape under our sill plate to make a tight seal prior to installing the plate. After, we ran Stego from the interior of the wall EPS overr our 1.5″ thick by 7.5″ wide XPS plug the sill plate. 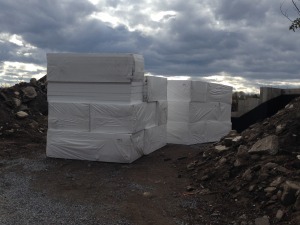 Both the edges of the Stego will be taped to continuous air barriers in the future. The interior wall will get Stego from top to bottom. 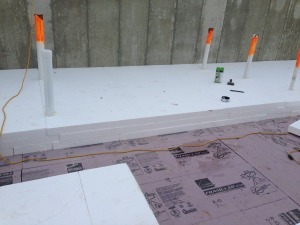 The sill plate air barrier will continue on outside the box sill. ← Footings, Foundation Walls and Insulation!